RIVERTON — With a line-up chock full of 4A and 5A schools, no one at the Riverton Holiday Tournament expected 3A Dixie to make much noise. But the Flyers busted out the noisemakers on New Year’s Eve, squeaking past Kearns 58-56 to win their fourth game in as many days and capture the championship of the event Thursday evening at Riverton High. That group of guards, which includes tournament MVP Tyler Bennett, as well as Malachi Otis, Nate Crockett and Connor Dyches, was solid once again against the Cougars. Bennett had 25 points and averaged 22.7 per game in the three games he played in at Riverton. Otis chipped in 10 Thursday as Dixie improved to 10-2 on the season. But it wasn’t easy. Down by two, Kearns had the ball last with a chance to tie or force overtime. With a foul to give, Dixie hacked away from the basket with seven seconds left. The Cougars then penetrated the lane and threw up a runner from about eight-feet out that rimmed out, giving the Flyers the tournament trophy. One of those easy baskets came in the second half on a monster slam dunk by Richard Guymon, who finished the game with seven points and was named to the all-tournament team. Kearns, which got 14 points from Tayler Martiliz, fell to 9-2 with the loss. It was actually a clean sweep for the Dixie program, with the junior varsity and sophomore teams also winning their divisions of the Riverton Holiday Tournament. Also in the tournament were 5A schools Hunter, Granger, Taylorsville and Riverton, as well as 4A schools Kearns, Cyprus and Wasatch. The Flyers will face perhaps an even bigger test next week in a trip to Bishop Gorman, which has a nationally-ranked basketball program. 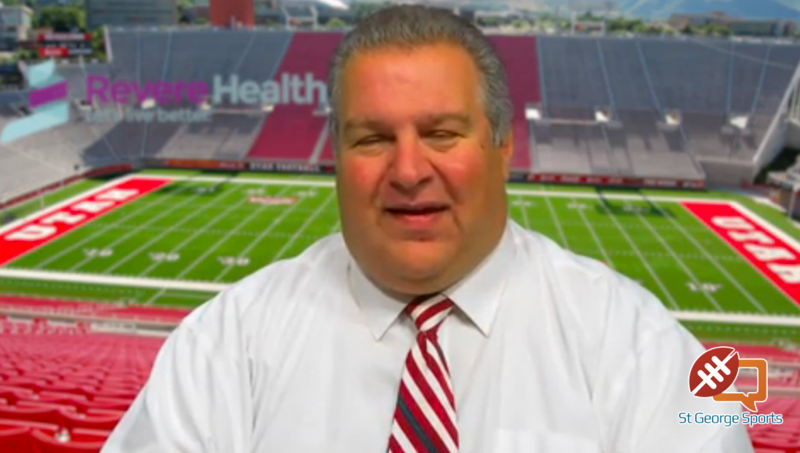 The game is Saturday, Jan. 9. 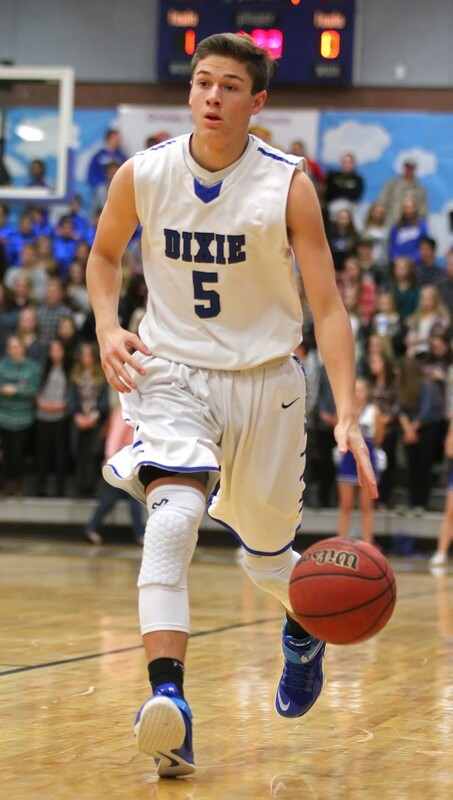 Region play starts Jan. 13 for Dixie with a home matchup against Pine View. Tyler Bennett is AMAZING! What a great player! GO DIXIE!